What does your institute do? Here at the Institute, we help patients with medically-complex issues resulting from years of uncontrolled chronic diseases like diabetes, high blood pressure, and chronic kidney disease, just to name a few. Complications from these diseases can be devastating. For example, years of uncontrolled diabetes can cause nerve damage which can lead to diabetic foot ulcers and, potentially, amputation. Wellness begins with physical activity performed on a regular basis. Yes, that’s exercise but I’m not talking about doing a triathlon or running a marathon. I am talking about activities as simple as walking. Set a goal like walking 10,000 steps a day. Make your goal achievable by incorporating it into your normal routine. For example, take the stairs instead of the elevator or, when shopping, walk from the farthest parking spot instead of the closest. If your goal is 10,000 steps per day, comfortable and versatile footwear is essential. Why do proper supportive shoes matter? As an Osteopathically trained physician, I believe the body can best heal itself when we make an effort to optimize its functions. To function optimally, the body’s musculoskeletal system must be aligned properly. The foundation of that alignment starts at the feet. By helping to ensure proper foot and ankle alignment, supportive shoes play a critical role in achieving healthy posture and a healthy gait. Conversely, poorly-designed or unsupportive shoes can misalign the foot and ankle with deleterious effects on posture. A misaligned ankle puts stress on the calf which, in turn, stresses the knee and so forth upward through the entire system. Don't put up with body pain! Often overlooked as the culprit, bad shoes can even lead to back and neck pain. A body forced to deal with the pain caused by a poorly aligned system can ultimately experience a decline in overall health. I have created a line of wellness shoes designed specifically to support the feet of diabetic and arthritic patients. Foot pain resulting from nerve damage or arthritic inflammation is a leading cause of inactivity. 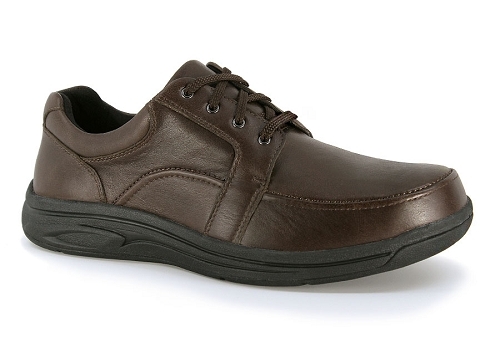 Oasis shoes are designed to be worn for work and physical activities like walking. 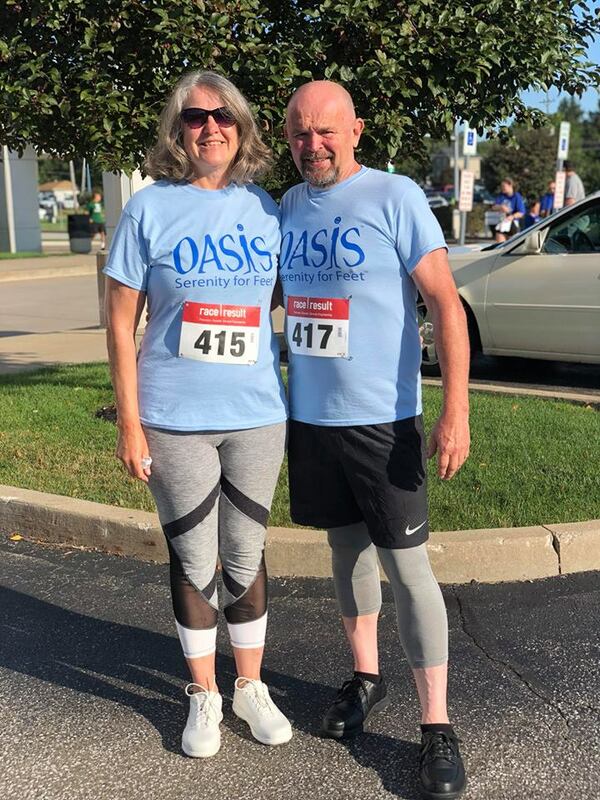 Bernie, a patient at the Institute, recently ran his first 5K road race in a pair of Oasis Bradleys!